I’m excited to have a piece in this group show of 6″x6″ art by local artists. The walls are filled with color and array of media and subjects. It’s the perfect place to find a holiday gift. 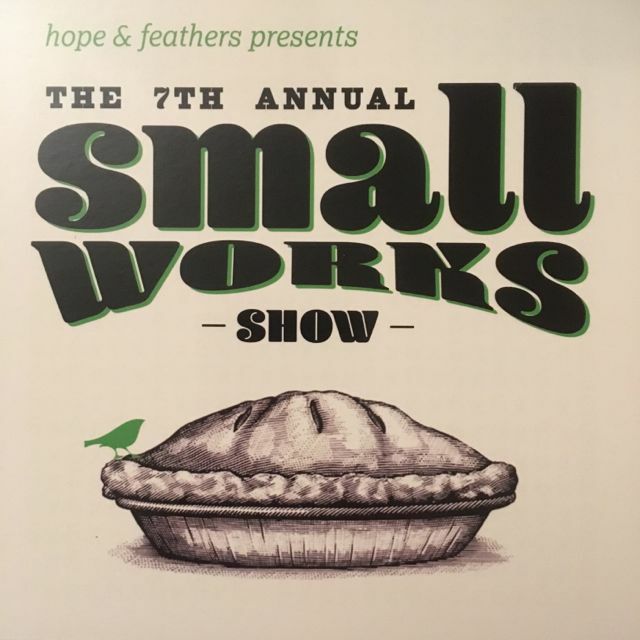 The Small Works Show runs from Nov. 30- Jan 13, 2018. For Amherst’s Arts Night on Thursday, Dec. 7th (5-8 p.m.) there ill pie and spiced cider. Come on by. There are no events scheduled at the moment, but if you sign up for my email newsletter, you'll find out when the next one comes along.